Our write up on The First City Music Festival complete with unacceptable pics and videos. Luckily, we treated ourselves to VIP tickets so we didn’t have to throw elbows to get a spot or wait in long beer lines. Capital Cities Dance Party: The best show of the weekend!! Modest Mouse: They headlined the main stage on Sunday night and the sound was heinous. I don’t know if they were just really wasted or if the sound engineer was taking a disco nap, but either way, their show was a total letdown. Neko Case: I wanted to like her, but she played just before modest mouse. Erik literally laid down and slept through the performance. Slow and boring. Neko Case in a set up like that doesn’t fit in the very first place anyway. She better off doing indoors and intimate settings. 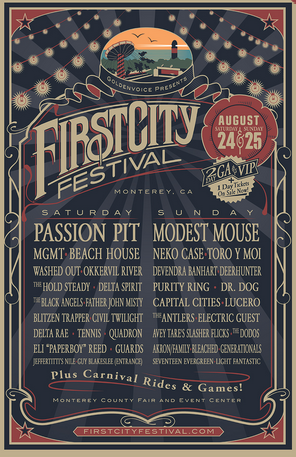 But Modest Mouse, sorry to hear they’re a letdown. I wouldn’t of imagine.